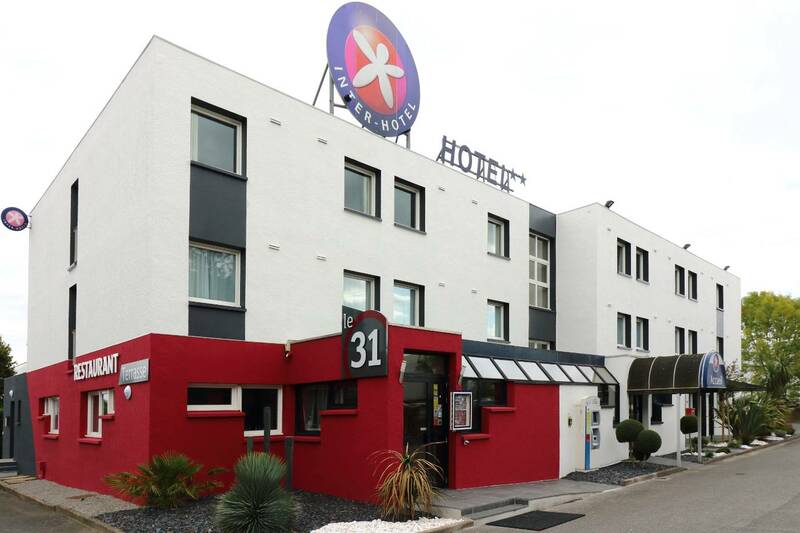 Our hotel is located as you enter Nantes right in the centre of the busy business and services park on the Vannes road. Near the north (Paris, Rennes, Poitiers, Angers, etc.) and west (Brittany, Bordeaux, Noimoutier, Vendée, etc.) ring-roads and Nantes city centre via the Vannes road. Quick and easy access to the Zénith Nantes Métropole and the Atlantis/Ikéa shopping area in 3 minutes. The Espace Culturel l'Odyssée (cultural centre) and the Gobinière theatre are 2 minutes from the hotel. 10 minutes from the Nantes Atlantique Airport and 5 minutes from Nantes city centre and its château. Served by bus lines 90 and 12 and by the tramway (line No.3) which will bring you to the Morlière station, Place du Commerce (Shopping district), in 12 min. La Beaujoire exhibition centre (sports meetings, events) 5 minutes away by car. Each room is equipped with a bathroom, office, wardrobe, flat screen television with Canal +, Canal Satellite (satellite channels), TNT (freeview), direct phone line, Internet socket and free Wi-Fi. From Paris/Angers (A11) : keep straight on the north ring-road, and then take the Porte de Sautron exit No. 35. On the roundabout, take the 5th road to the right - Orvault Forum. From Rennes : take the west ring-road in the direction of Bordeaux, then take the Porte de Sautron exit No. 35 On the roundabout, take the 5th road to the right - Orvault Forum. From Vannes/Saint-Nazaire : Take the direction of the north ring-road and then exit at gate No 2 in the direction of Nantes Centre. On the 2nd roundabout, take the 4th road to the right - Orvault Forum. From Bordeaux : take the west ring-road, drive over the Chéviré bridge, then exit at gate No. 35, Porte de Sautron. On the roundabout, take the 2nd road to the right - Orvault Forum.